of the St. John’s Cathedral church family, and she will be sorely missed. Monica Kew was a loving and beloved part of the St. John’s Cathedral church family, and she will be sorely missed. She especially loved singing in the choir, as she loved all beautiful music. She lived an amazing life, but now we entrust her to God’s loving mercy which sustained her all her days of her life. Rest eternal grant to her, O Lord, and let light perpetual shine upon her. Below is her obituary as published in the Winnipeg Free Press on May 22, 2012. The family mourn the passing of our sister, aunt and great-aunt, Monica Irene Kew. Born the oldest of the late Irene and Harry Kew’s children on July 21, 1932. Passed away in Winnipeg, Manitoba, on Thursday, May 17, 2012, at the age of 79. Monica was born and raised in Hong Kong, attended the private Anglican British Girls School (Diocesan Girls School) and continued on to a nursing career in radiography. A change in career to social work took Monica to Winnipeg in 1963, where she obtained a BA and Social Work degrees. Monica had a wide circle of friends and many interests from English country dancing, classical and chamber music, to gourmet cooking and water colour painting. She volunteered and fundraised with several musical organizations including the Royal Winnipeg Ballet and sang in the church choir. Her faith was important to her; she attended church regularly and served in various capacities in her church. She is survived by her siblings, sister: Veronica Lau in Vancouver; Jennifer (Matthew) Choy in Hong Kong, brother: Irvin Kew and sister-in-law: Nicola Kew in Victoria; nephews in Vancouver: Vernon (Betty) Lau; Verdi (Nancy) Lau; Alexander (Christine) Kew; in Hong Kong: Vergil (Sang) Lau; Benjamin (Joey) Choy; in Edmonton: Dr. Jonathan (Isabelle) Choy; in Victoria: Jason (Joan) Kew; niece: Henrietta (Nicholas) Gregory in Vancouver; seven great-nephews and seven great-nieces. 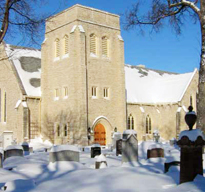 A memorial service will be held at St. Michael and All Angels Church, 300 Hugo St. N., Winnipeg on Friday, May 25 at 11:00 a.m. In lieu of flowers, if friends so desire, donations may be made to the Canadian Diabetes Association or to the Canadian Cancer Society. Special thanks to Father Klassen and all her close friends who cared for her in her final days.